Cambridge Writers’ Workshop Instructor, Jessica Reidy, recently had her poem “Transfiguration of the Black Madonna: Gypsy Goddess, Gypsy Saint” nominated by The Infoxicated Corner of The The Poetry Blog for “Best of the Net.” Check out the other nominees here! 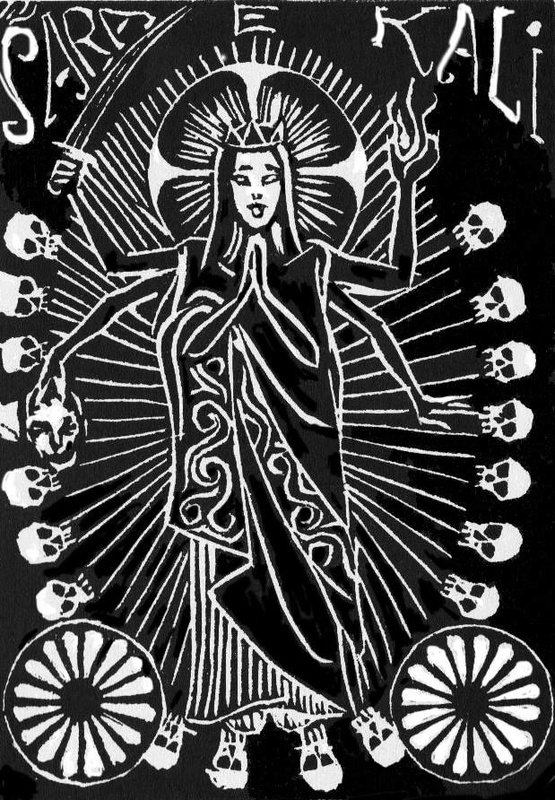 Black Madonna, full of snakes, let your crescent down. Wield the sickle, rush the milk, and salt the serpents’ mouths. Golden bangles, black milk snakes—these adorn your arms. Blue sky cloth cut for (you) Sarah, Sarah Black, Madonna Shadow, cut for goddess saint of wanderers, cut predestined, cut of chaos, cut the star palm bowls. Slip the feathers under scales and reform the body whole. You were a slave who sailed the chasm, sailed the sea and sun. Persecution sprang a river from the monster: milk, and spit, and blood. In the monster lived a woman and the woman’s soul—you wore her face and wore her tresses spun from black snake gold—golden teeth and golden brow, golden tail and root. The milk snakes split their nests and fled and now your mouth is ruined. There is no birth, there is no death, there’s only mutant growth, and milk snakes dyeing Sarah’s skin with heaps and heaps of gold. There is no sickle there is no moon, there is no blood or salt. There’s only Sarah sailing through the dream in which she’s caught. Jessica will be teaching alongside Diana Norma Szkoloyai (writing faculty) and Elissa Lewis (yoga faculty) at our upcoming Thanksgiving Cleanse Writing & Yoga Retreat at Sacred Sounds in Greenwich Village, NYC. The retreat runs from 2-4 on Saturday November 21st and 2-4 on Sunday November 22nd, and is packed with both writing and craft classes and yoga classes. Registration is currently $30 per day in advance or $35 on the day of the workshop. The workshops will be different each day, and we’d love to have you with us for the whole weekend! Jessica Reidy attended Florida State University for her MFA in Fiction and earned her B.A. from Hollins University. Her work is Pushcart-nominated and has appeared in Narrative Magazine as Short Story of the Week, The Los Angeles Review, The Missouri Review, and other journals. She’s a staff-writer and the Outreach Editor for Quail Bell Magazine, Managing Editor for VIDA: Women in the Literary Arts, Art Editor for The Southeast Review, and Visiting Professor for the Cambridge Writers’ Workshop retreats. She teaches creative writing and is a certified yoga instructor and Reiki Master. Jessica also works her Romani (Gypsy) family trades, fortune telling, energy healing, and dancing. Jessica is currently writing her first novel set in post-WWII Paris about Coco Charbonneau, the half-Romani burlesque dancer and fortune teller of Zenith Circus, who becomes a Nazi hunter. You can learn more at www.jessicareidy.com. This entry was tagged Best of the Net, Cambridge Writers' Workshop, cleanse, Diana Norma Szokolyai, Elissa Lewis, Jessica Reidy, Manhattan, poetry, Pre-Thanksgiving Yoga & Creative Writing Cleanse, thanksgiving, writing. Bookmark the permalink.